Ventile was originally created to save the lives of Air Force personnel flying over the Atlantic during the war. Members of the Airforce desired a garment that was cool in the cockpit, but that could also keep them warm if they were forced into contact with water. But, Ventile is not only useful to members of the Airforce – it is also extremely useful to those who are keen on staying at ground level. Soft and Quiet – Ventile fabric is much softer and quieter in comparison to other performance fabrics and when out birding, the least noise you can make the better. The lack of rustling will ensure birds, with their exceptional hearing, will not be driven away by the sound of your garment. Waterproof and Wind Repellent – This key benefit of Ventile fabric allows the bird watcher to go out in all conditions, knowing that they will be protected from the elements. 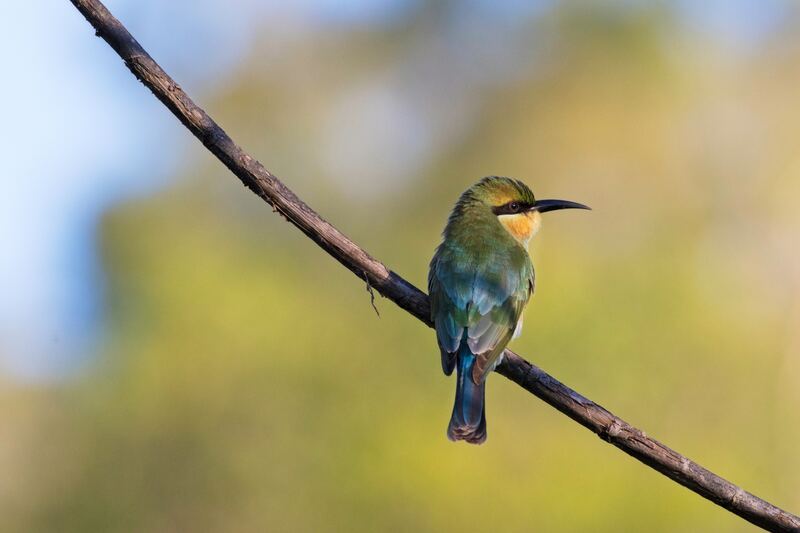 Environmentally Friendly and Sustainable – As keen outdoors enthusiasts, birdwatchers are likely to be conscious of the various impact that human’s have on the natural world. It is comforting for them to know that Ventile’s use of extra-long staple cotton yarn makes the garments far longer lasting than the majority of conventional clothing, thus limiting the impact of excessive production on the environment. Balanced Climate Control and Comfort – Ventile fabric is warm when it’s cold and cool when it’s warm. Due to the fact it’s 100% cotton, it is as comfortable as wearing a cotton shirt, which makes it the perfect choice when you are outdoors for several hours at a time. Colour –Ventile fabric is available in various colours, such as the aptly named ‘Earth’ colour which will allow you to blend in with the natural environment without frightening the birds away. When searching for an outdoor garment for birdwatching, any garment containing Ventile fabric will be a worthwhile, long-lasting and wise investment. If you would like more information or if you would like to speak to a member of our team about Ventile, please visit our contact us page.